An online men’s lifestyle publication dedicated to connecting various voices of male culture in Style, Grooming, Wellness, and Culture. Empowering, and informing men through a variety of perspectives pushing the most realistic picture of the modern man - courageous, liberated, and agog. BOND represents the creation of a platform that gives a diverse group of men an opportunity to share themselves, and their stories reviewing the wide ranging system of the day to day affairs that connect male culture - all from an accessible, and facetious standpoint. We invite you to form a bond with us, and hopefully, you hold on for a bit. 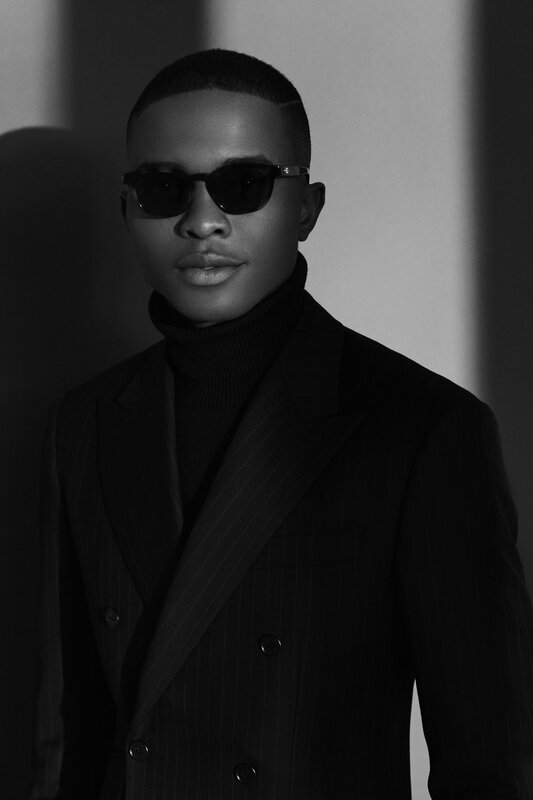 Igee Okafor is the Founder, and the Editor-In-Chief of BOND OFFICIAL. A destination for men, and women to learn, and create all round conversation about men’s interests in today’s culture. Igee was born and raised in Lagos, Nigeria. After educational opportunities that allowed him to experience culture in places like Spain, and France, he moved to Hampton, Virginia to further the learning experience. In 2013, he moved to New York City to attend St. John's University where he studied Business, and Marketing. With a keen interest, and enthusiasm for cultural endeavors that lie in cultural endeavors inclusive of music, fashion, travel, and food, Igee Okafor started contributing articles as an intern for Jones Magazine, and The Source in the spring of 2014. In 2015, he worked directly under co Owner of Nylon Media and CEO of Socialyte, Daniel Saynt. In continuing efforts to tackle digital marketing, Igee Okafor's work experience advanced in digital marketing all while maintaining his personal self titled lifestyle blog. As the head content creator of www.igeeokafor.com, Igee secured successful collaborations with some of the industry's most respected tastemakers, including MR PORTER, GQ, Carl F. Bucherer, Facebook, Express, Cathay Pacific, Grey Goose, Johnnie Walker, BOSS & more. Igee has been featured for his doings on outlets like Forbes, The New York Times, Huffington Post, Paper Magazine, GQ, Elle Magazine, and The Cut. Delanique Millwood is the Associate Editor, and Head of Brand Partnerships of BOND OFFICIAL. Delanique was born and raised in Kingston, Jamaica. While attending St John’s University for advertising, and fashion marketing in 2012, she started her editorial, and publishing venture at Schneps Communications as an intern working alongside the CEO on The Queens Courier, and Courier Sun publications. In 2014, she explored the fashion industry by assisting luxury womenswear and fine jewelry designer, Valentina Kova, at her New York based studio. Shortly after, Millwood moved to Rome, Italy to study International Business and entrust herself in the art, culture, and fashion of the Italian people. Upon returning to New York in 2016, Delanique’s enthusiasm in search for the best beauty products instigated an interest, which quickly turned into an obsession and the birth of her eponymous site, delaniquemillwood.com. Given her product knowledge and keen approach to luxury grooming, and beauty, Millwood collaborated with, and supported beauty game-changers, including Dr Barbara Sturm, Joanna Vargas Skincare, The Perfect V, LXMI, and more. Delanique has been featured, and mentioned by publications and brands including ELLE Magazine, The Cut, Dazed Digital, and Paper Magazine. 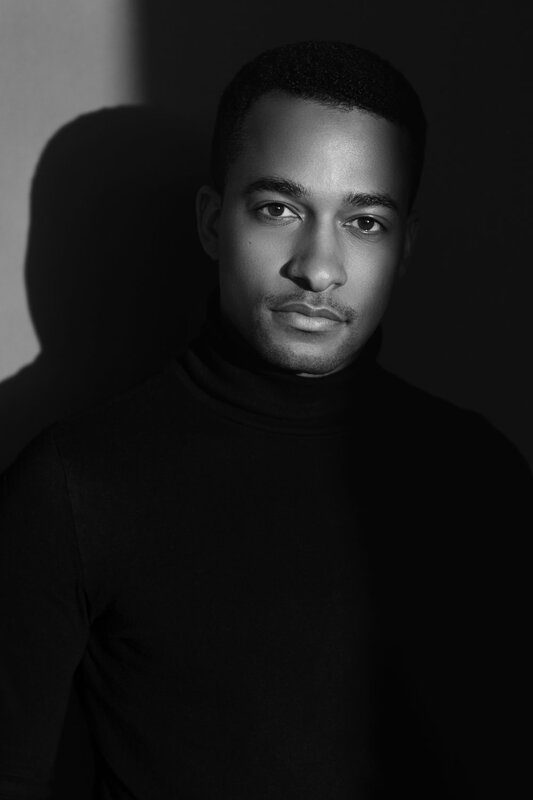 Marcus Vinicius Richardson is the Associate Creative and Head of Photography of BOND OFFICIAL. Born and raised in South Carolina, Marcus grew up in an environment that strongly encouraged creativity and inspired unconventional thinking. At a young age Marcus was given the essential tools he needed to explore different artistic mediums and began exploring his creative talents through paint, pencil and charcoal, creating pieces inspired by reoccurring dreams he had as a child, family history and images from fashion magazines. After studying Biology as a pre-medical student at the University of South Carolina, Marcus decided to try his hand at photography in search of a new creative outlet and quickly found passion for the art. What first started as a hobby quickly developed into a part time job as Marcus stepped into the world of wedding photography, and quickly moved from assisting other wedding photographers to starting his own photography business Fox & Whales - the focus being to capture moments that matter through imagery. After honing his craft in the South, and traveling to build an international photography presence in places like the United Kingdom, France, and Switzerland, Marcus relocated to New York City and quickly found his place in the fashion industry. With a unique vision inspired by his childhood, minimalism, and the works of photography heroes like Annie Leibovits, Herb Ritts and Eve Arnold, Marcus approaches his craft with the vision to create images that tell stories. There’s this ingrained satisfying feeling when you say, “oh, you should try this thing” referencing your taste, and wanting others to indulge because you feel strongly about it. There’s this feeling of delight when you call something “yours” because there’s something about this creation that immaculately aligns with your surviving desires, but conceivably propels you a tad bit far-flung - and your perspective reasonably expands from that extent. These are the kind of things I love to introduce people to. What’s the point of experience if you cannot measure it with other people? Why not welcome the things in our lives that bring us smiles, and confidence in ourselves as men especially? These distinctions are important, and we rightfully deserve them. With BOND OFFICIAL, I want to empower, and inform men through a variety of perspectives pushing the most realistic picture of the modern man - courageous, liberated, and agog. I want to make men feel like the most prime version of themselves, and BOND OFFICIAL is the outlet - highlighting a sophisticated, and audacious stance. It’s all about being honest, and enjoying what you’re doing, and BOND OFFICIAL for me represents the creation of something I would’ve wanted to be a part of as a young boy coming into my own as a man - a platform that allows a diverse group of men an opportunity to share themselves, and their stories - reviewing the wide ranging system of day to day affairs that connect voices of male culture all from an accessible, and facetious standpoint. Culture plays a significant role in our community because it is supposed to direct our minds towards a variety of perspectives in a physical, and understanding way. This is just the beginning. Something I am very proud of is the diverse group of men, and women all over the globe I am currently, and will be collaborating with throughout the journey of this unique storytelling project . There’s innately something very pleasurable for me about creating this idea of inclusivity, and shepherding people into a simple world of style, and well rounded aspects of male culture. I am inviting you to form a bond with us, and hopefully, you hang on for a bit.